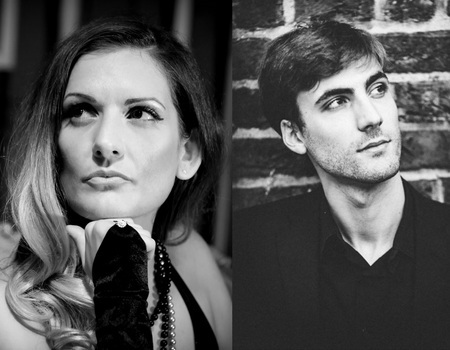 Journey into the world of cabaret with Elena Lorenzi and Stefano Marzanni - from Parisian Bistros to the clubs of decadent 1930s Berlin - as they bring to life songs made famous by Piaf and Dalida, from the satire of Mischa Spoliansky to the revolutionary spirit of Kurt Weill. As described by an audience member, "those smokey, stylish Parisian jazz clubs and edgy pre-war Berlin cabarets… truly come to life again in Classic Cabaret" and the evening is "atmospheric, stirring and deeply moving". Much more than a concert of cabaret songs, Lorenzi is not only a great singer and performer, but she is also passionate about the history of cabaret, and is dedicated to telling the real story - from lyrical romance and love to dark biting satire, politics and existentialist reflections on the meaning of life.